Phytoplankton might be too small to see with the naked eye, but they are the foundations of the ocean food chain, ultimately capturing the energy that sustains the seas’ great beasts such as whales. A new study though has raised the alarm about fundamental changes to life underwater. It warns that populations of these microscopic organisms have plummeted in the last century, and the rate of loss has increased in recent years. The reduction – averaging about 1% per year – is related to increasing sea surface temperatures, says the paper, published tomorrow in the journal Nature. The decline of these tiny plankton will have impacted nearly all sea creatures and will also have affected fish stocks. Phytoplankton provide food – by capturing energy from the sun – and recycle nutrients, and because they account for approximately half of all organic matter on earth they are hugely important as a means of absorbing carbon. “This decline will need to be considered in future studies of marine ecosystems, geochemical cycling, ocean circulation and fisheries,” add the paper’s authors, from Dalhousie university in Nova Scotia, Canada. The researchers looked at measurements of ocean transparency and tested for concentrations of chlorophyll, which gives large numbers of phytoplankton a distinctive green sheen. They said that although there were variations in some areas due to regional climate and coastal run-off, the long-term global decline was “unequivocal”. The Nature article comes as climate scientists published what they said today was the “best ever” collection of evidence for global warming, including temperature over land, at sea and in the higher atmosphere, along with records of humidity, sea-level rise, and melting ice. The songs that whales and dolphins use to communicate, orient themselves and find mates are being drowned out by human-made noises in the world’s oceans, U.N. officials and environmental groups said Wednesday. That sound pollution — everything from increasing commercial shipping and seismic surveys to a new generation of military sonar — is not only confounding the mammals, it also is further threatening the survival of these endangered animals. Marine mammals are turning up on the world’s beaches with tissue damage similar to that found in divers suffering from decompression sickness. The condition, known as the bends, causes gas bubbles to form in the bloodstream upon surfacing too quickly. Other research suggests that rising levels of carbon dioxide are increasing the acidity of the Earth’s oceans, making sound travel farther through sea water. 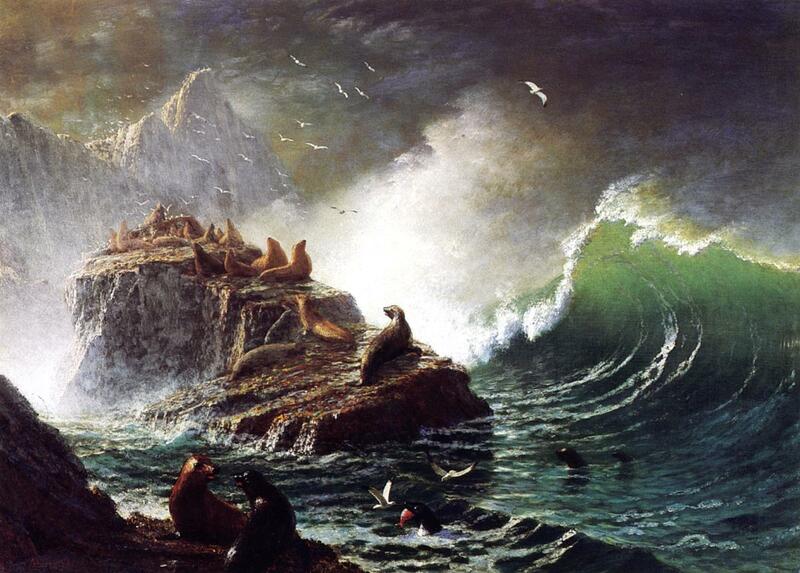 The study by the Monterey Bay Aquarium Research Institute in the United States shows the changes may mean some sound frequencies are traveling 10% farther than a few centuries ago. That could increase to 70% by 2050 if greenhouse gases are not cut. 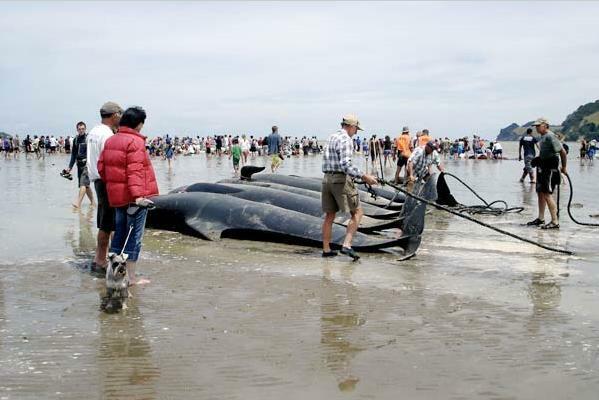 Editor’s Note: Over the past few weeks there have been numerous Blue Whales showing up dead on the coast of California and a cause of the recent Blue Whale washing up on the Mendocino coast has been the topic of great discussion and mystery here. Actual cause of death has been identified by propeller of a NOAA research ship. Additionally, here’s a new theory based on noise pollution and new research: Blue whales are forced to make more noise to compete with man-made noise pollution like ship sounds and sonar. 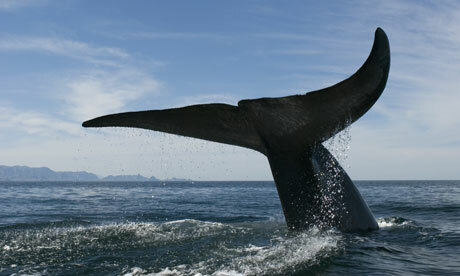 More specifically: Blue whales increase their ‘singing’ to cope with noise pollution. And: Man-made noise such as ships’ engines has caused hearing loss in whales. It has also caused other behavioural changes, including forcing the creatures to strand on beaches because they are unable to navigate. 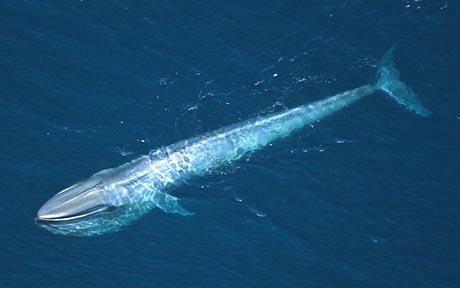 The endangered blue whale uses sonar to navigate, locate prey, avoid predators and communicate. However in recent years the increasing use of hi-tech sonar by ships, the noise of propellers, seismic surveys, sea-floor drilling, and low-frequency radio transmissions have made oceans noisier. New research has shown that the whales are having to ‘chatter’ more often and for longer periods to communicate the location of prey and to mate. Zoologist Lucia Di Iorio, of the University of Zurich, analysed the song of blue whales recorded by microphones during seismic explorations in the St Lawrence estuary off Canada’s north east coast over an eleven day period in August 2004. “We found that blue whales called consistently more on seismic exploration days than on non-exploration days as well as during periods within a seismic survey day when the sparker was operating,” she said. The study, published in Biology Letters, provides the first evidence that blue whales change their calling behaviour when exposed to sounds from seismic surveys. “This study suggests careful reconsideration of the potential behavioural impacts of even low source level seismic survey sounds on large whales. This is particularly relevant when the species is at high risk of extinction as is the blue whale,” added Dr Di Iorio.